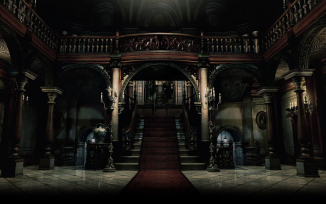 All back to the Spencer Mansion for a rerun of the events of the 1996 original Resident Evil. Leon, Karl, Michiel and Sean replay the events of the REmake by which all other remakes would hereon be judged. Did Capcom’s Shinji Mikami effectively have the last word on traditional survival horror with this 2002 ground-up restoration? As usual we also share memories and opinions from the Cane and Rinse community. Cane and Rinse 324 was edited by Sean O'Brien. This was my favourite of the year so far. I've enjoyed the whole RE series, even though I've only dipped my toe in really, but this was really interesting and lively. I've never finished REmake, either, so I will address this. It's unlikely to happen but I would love to play it in bed with the covers pulled up (on the Switch). Thanks, Stanshall! Never say never, Resident Evil, as a series has been ported out the wah-zoo, so, I wouldn't be shocked if a Switch version came along.